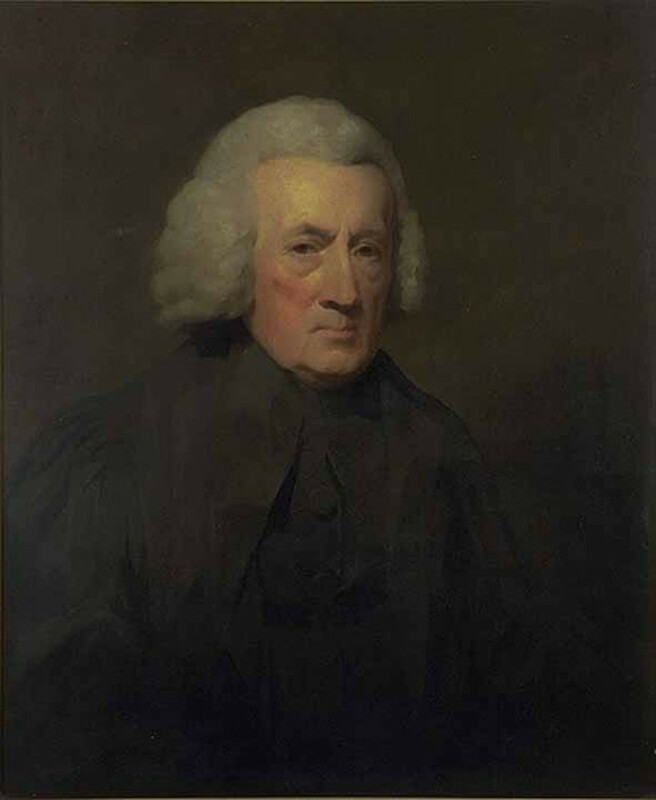 Deism was primarily a movement among the upper classes of Britain in the 18th century that sought to demystify religion. It spread in different forms to France and America. In America, Deism existed within a Christian framework as in Britain. But in France, Deism took on a decidedly anti-Christian attitude. Thus, the American and French Revolutions are more opposites than they are similar historical events. Deists acknowledge that God is the Creator of the universe. The French school of Deists believed that after God made the world He then left it to its own devices; God is not active in the world but a mere spectator. The American Deists believed that history unfolds according to the plan of God the Creator, what they called Divine Providence. Deism beliefs postulate that all religions contain moral truths, which are useful only if stripped of anything supernatural or "superstitious." 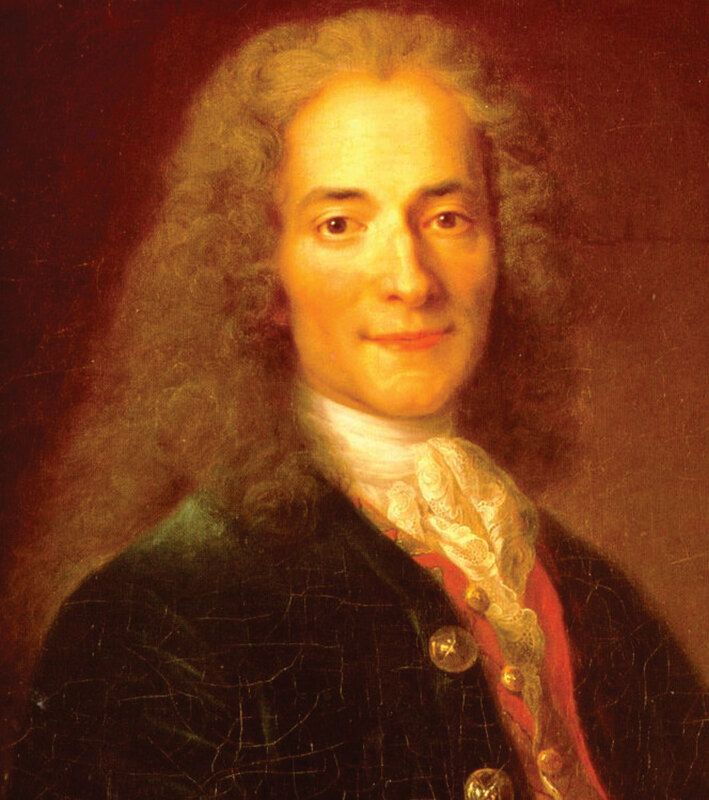 Voltaire defined Deism: "Pure adoration of a supreme being, free of all superstition." Western Peoples emphasized history as never before in the 18th century. A tremendous interest developed in the study, research, writing, and debating of history. Since, through the Incarnation, God, who is beyond time, voluntarily stepped into time, Deists decided to study Jesus as a historical figure, using the same evidentiary criteria used to study any other historical personage. Deist scholars set out to dissect the Jesus of the Bible. They could agree that he was a messenger from God, who preached about the love of God and set a holy example of how to live. However, Deist thinkers began to express doubts about Christ as the way to salvation, particularly to disagree with Christian orthodoxy that Christ is the Redeemer of Mankind. The main objection was against Atonement for the sins of people. Those of Deism beliefs could not come to grips with a God who would punish the innocent (Jesus) and absolve the guilty (us). Particularly troubling was the idea that God required human sacrifice (the crucifixion). Deists repudiated the Christian system of Salvation. 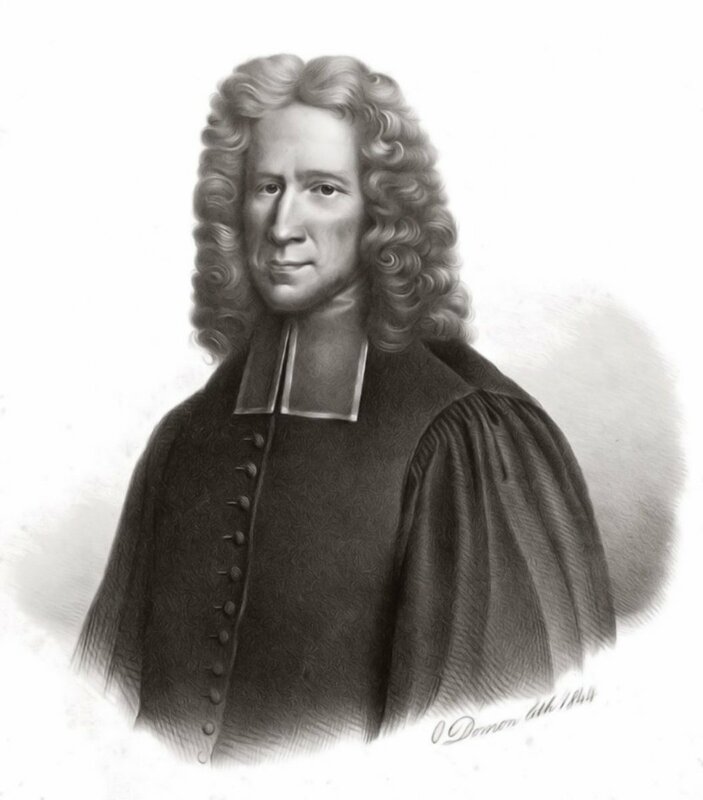 The German Deist Hermann Reimarus (1694-1768) wrote a critique of the Bible—the forerunner of the Historical Jesus Project in the 20th century—in which he argued that Jesus was nothing more than a failed freedom fighter and preacher. According to Reimarus, the followers of Christ had no desire to return to fishing so they stole his body and created a Resurrection myth. Thus the Christian Faith was simply a fraud from the beginning. Reimarus sought to denude Christ of any supernaturalness. In particular, Reimarus wanted to separate the moral teachings of Jesus—which he accepted—from what was taught about Jesus after his death. Thus, the triumphal entry into Jerusalem became not preparation for death and resurrection but an aborted attempt to establish a theocracy in Israel, an earthly Kingdom of God. Reimarus insisted that the things Jesus said in Gethsemane about the cup passing from him, and on the cross about being forsaken by God, should be understood as Jesus feeling heartbroken that his mission had failed. Reimarus revised the story of Jesus from one of triumph to one of tragedy and pathos. Though the dream of Jesus had come to naught, Reimarus still felt Jesus had left us with a religion that is "reasonable, simple, exalted, holy, and practical." Thus Jesus, though neither divine nor capable of supernatural miracles, remains "the teacher of the entire human race." Reimarus especially hated the God of the Old Testament, whom he described as a petty tyrant whose revealed "law," with ridiculous commandments such as the Sabbath, contained very little of the essence of true religion, and whom had never promised a savior as Christianity claimed. Reimarus felt God would never choose the Hebrews as his chosen people. "I find it difficult to comprehend that out of so many wiser and more tractable nations God would choose a stubborn and perverted people as his possession and his beloved." Deism beliefs centered on the idea that God has never revealed Himself to humankind, except through His Divine Presence in Nature. Deism denies any possibility of miracles. Therefore, a Deist believes the miracles performed by Jesus Christ in the Holy Bible were simply made up by the bald-faced liars who wrote what Deists believe to be a collection of fraudulent fictions. Deism rejects the notion that the Bible is the inspired Word of God. Therefore, Deists do not believe that anyone in the age of reason should accept the tenets of the Christian Faith. Instead, diligent studies should be undertaken as to the historical veracity of the Bible, and thus to its truth claims. Of course, the call for critical scholarship came loudest from those who wished Christian Orthodoxy to be changed to approve of what they wished to do. Deism beliefs did revere the Great Architect of the Universe for His Handiwork. 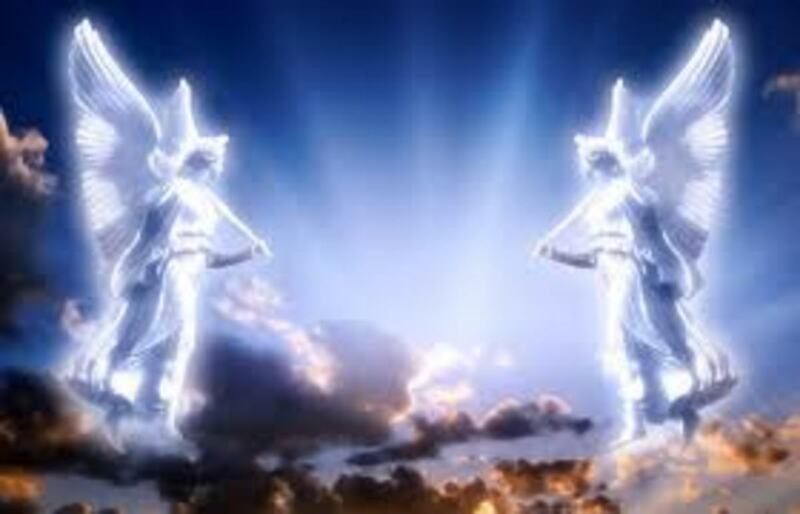 They posited that this reverence is a worldwide phenomenon. Deists sought worldwide unity by the eventual vanquishing of what they termed man-made religions, which to them history had shown produced only conflict, persecution, massacres, and religious wars. Deism promoted a belief in a 'Supreme Being' whatever you may make of Him. 'Mystery,' defined as that which is incomprehensible in creation and providence, was announced to be a fancy name for ignorance. Prayer was ridiculed as "speaking to the air" since God would never change the course of events for human beings; probably didn't even listen; and certainly would never talk to people. Attacks on 'superstition' were primarily aimed at Roman Catholicism, and secondarily at Eastern Orthodoxy. Even critics of Christ agreed that he was a supreme moral force, utterly innocent, and the embodiment of human excellence. But they objected to the concept of an angry, righteous, embittered God who had to be appeased by the blood of Jesus. Deists claimed it dishonored God by making him appear to be an injured party demanding satisfaction. 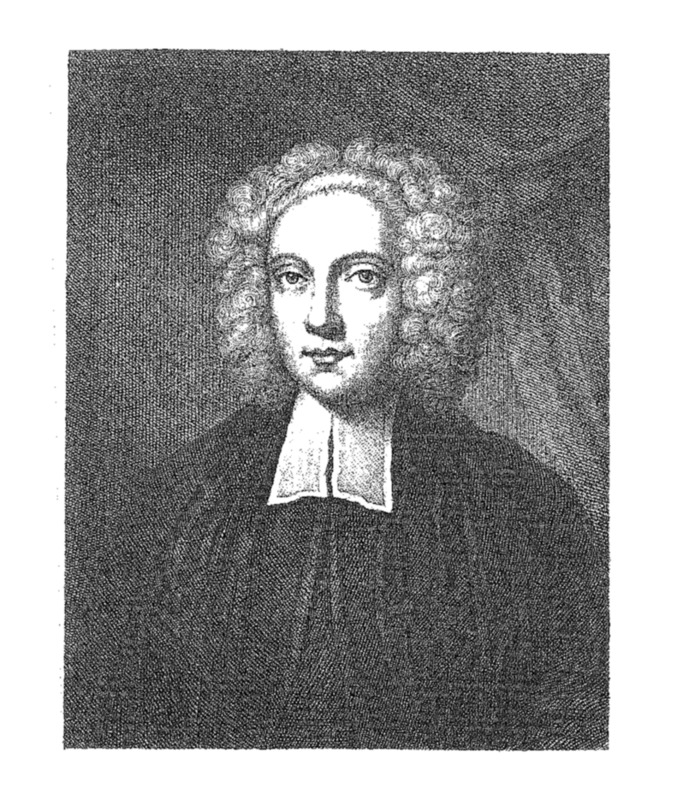 One of the more famous Deists, Matthew Tindal, wrote: "God, as he can never be injured, so he can never want reparation and can gain no addition by satisfaction." In America, Deists such as Thomas Jefferson believed in a benevolent Creator but one who did not interfere with the affairs of men. Jefferson rejected the supernatural; the Creation story of the Holy Bible; and the divinity and miracles of Jesus. He thought Jesus a great moral teacher. Thomas Jefferson zoomed in on the Apostle Paul as the "first corrupter of the doctrines of Jesus." David Hume was a Scottish philosopher dedicated to disproving the Christian Faith, particularly miracles and any other manifestation of the supernatural. The Deist Edward Gibbon wrote The Decline and Fall of the Roman Empire, in which he blamed Christianity for the fall of Rome and everything bad that has happened since. Voltaire ridiculed Catholicism for venerating relics, among other things. He drilled home his belief that Catholics practiced "hating your neighbor for his opinions." Voltaire cast doubt in the minds of his readers as to the Genesis account of creation. He believed that there is a God but that Deism would, or should, become the religion of modern men. Voltaire railed against Catholic rituals, prayers, and fears. The Catholic Church, he said, was an imposter designed to benefit popes, bishops, priests, and monks—not the citizen. Voltaire was not an Atheist. He defended God when, reflecting on the night sky, he wrote: "One would have to blind not to be dazzled by this sight; one would have to be stupid not to recognize its author; one would have to be mad not to worship him." Voltaire also said: "I believe in God, not the god of the mystics and the theologians but the god of nature, the great geometrician, the architect of the universe, the prime mover, unalterable, transcendental, everlasting." And he added on another occasion: "To believe in absolutely no God would be a frightful moral mistake, a mistake incompatible with good government." Diderot expanded this view with his statement that mankind would be saved when "the last king has been strangled with the entrails of the last priest." Diderot saw the French Enlightenment as a religion to replace the Christian Faith---a Secular Humanism, if you will. In France, Deism definitely operated outside the Christian Faith and usually against it. 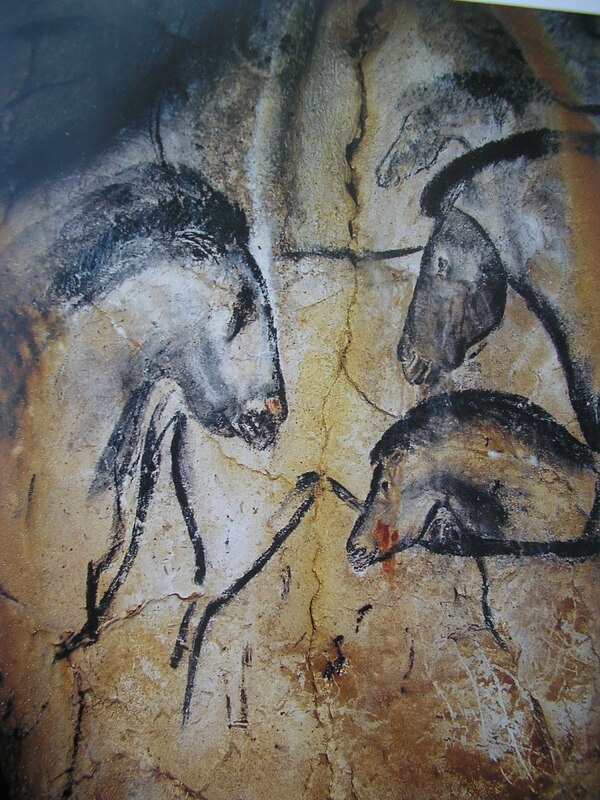 France is where Deism uniquely morphed into full blown Agnosticism and even outright Atheism. Whereas the Enlightenment developed alongside and in partnership with the Christian Faith in England, Scotland and America; in France the Catholic Church was far more rigid and brooked no compromise with new ideas. 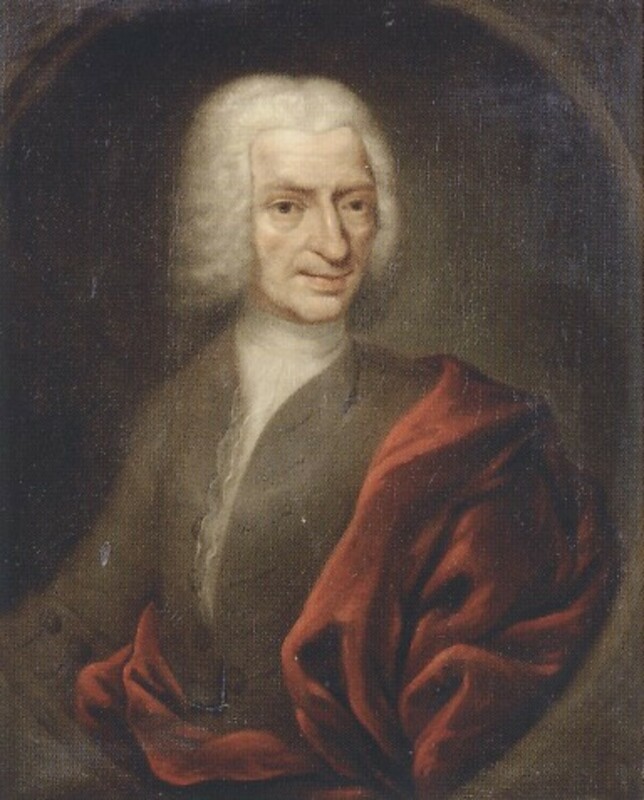 The French Enlightenment thus became the first intellectual movement in Europe that developed outside the parameters of the Christian Faith since the 4th century. French philosophers proclaimed that the Christian Faith was the producer of evil. The French Revolution at first merely abolished tithing and confiscated all church lands—20 percent of the land in France. Priests and bishops would now be elected by popular vote and all ties to Rome were cut. Then things got more radical as the French Revolution proceeded. Christianity was banned altogether and replaced by an official government religion of Atheism, with Reason as the new god. To make it official, a new calendar was produced with ten-day weeks, devoid of religious holidays, with new holidays dedicated to various vegetables, flowers, and fruits. 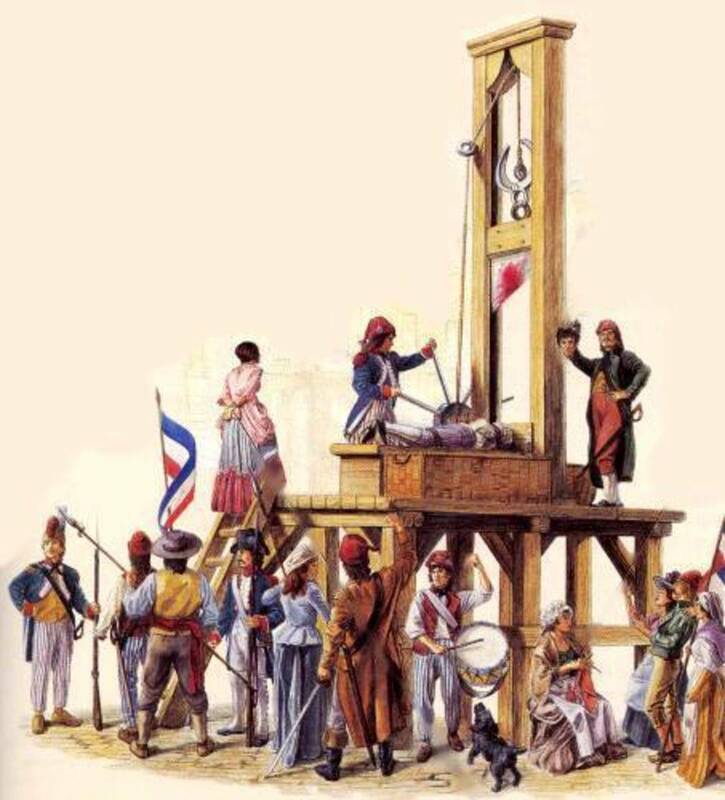 All opposed could make ready to have their heads chopped off with the guillotine. Most churches were forcibly closed. 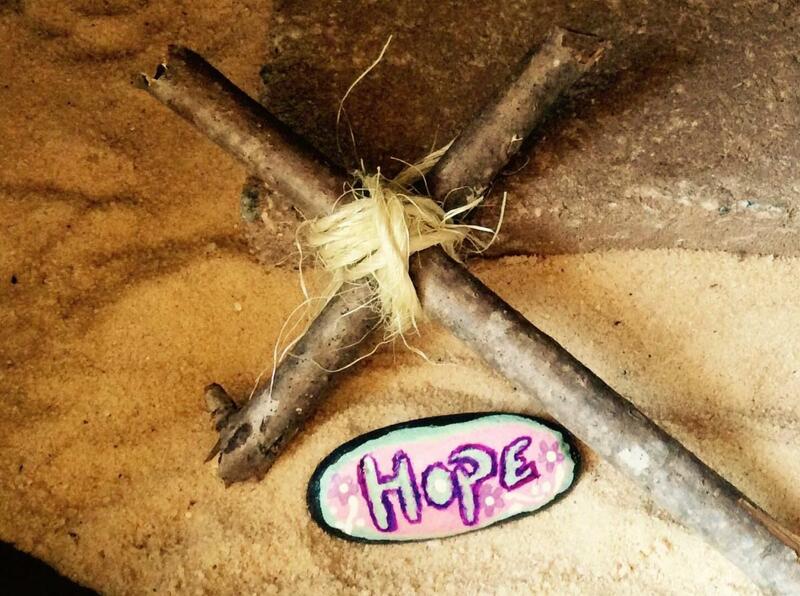 Signs were placed in cemeteries that read "Death is Extinction." France then declared war on the rest of Western Europe and promptly invaded Belgium and Holland. Surely, this was a great triumph for Reason. The madness, the utter depravity, the bloody murders of the French Philosophers killed Deism; its children live on in different guises. Christians of the day saw Deism as an attack on their faith from within. William Law responded for the faithful that the arguments by Deists are "childish." Law added: "All these objections proceed upon this supposition, that atonement, or satisfaction, when attributed to Jesus Christ, signify neither more nor less, nor operate in any other manner, than when they used as terms in human laws, or in civil life." 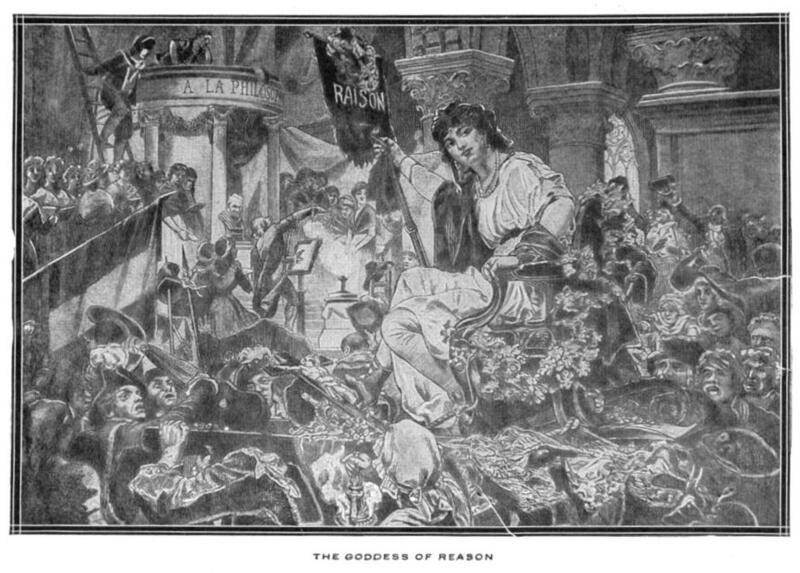 Theologians countered Deism by stating that if the universe was only "to be judged by our ordinary notions and faculties, it is useless to try to persuade anyone to accept the principle mysteries of the faith; a truth revealed by God, above the power of natural reason to find out or comprehend." Scripture definitely presented Christ as the Redeemer and Savior. William Law conceded that before the Resurrection and Pentecost the disciples of Jesus had not understood "the doctrines concerning Christ's death, the nature, necessity, and the merits of his sacrifice and atonement for the sins of the world." Deists were claiming that Jesus neither taught these doctrines nor intended them to be taught. But to Godly men such as Jean-Frederic Osterwald, the sacrifice of Christ on Golgotha was "offered to God to expiate our sins, to deliver us from death, and enable us to acquire a right to eternal life." This was not because God demanded this sacrifice but because sinful humankind had necessitated it. Rebuttals to Deism were put forth forcefully by English philosopher and theologian Joseph Butler. He thought Deists abandoned the Christian Faith because it might interrupt their pleasure-seeking. Deists might be high-minded, Butler thought, but their rejection of divine revelation gave lesser spirits an excuse to mock the morals of the Bible and drift into the occult. He also pointed out the fruits of disbelief among British aristocrats, which undoubtedly included addictions, diseases, gambling, and bankruptcy. 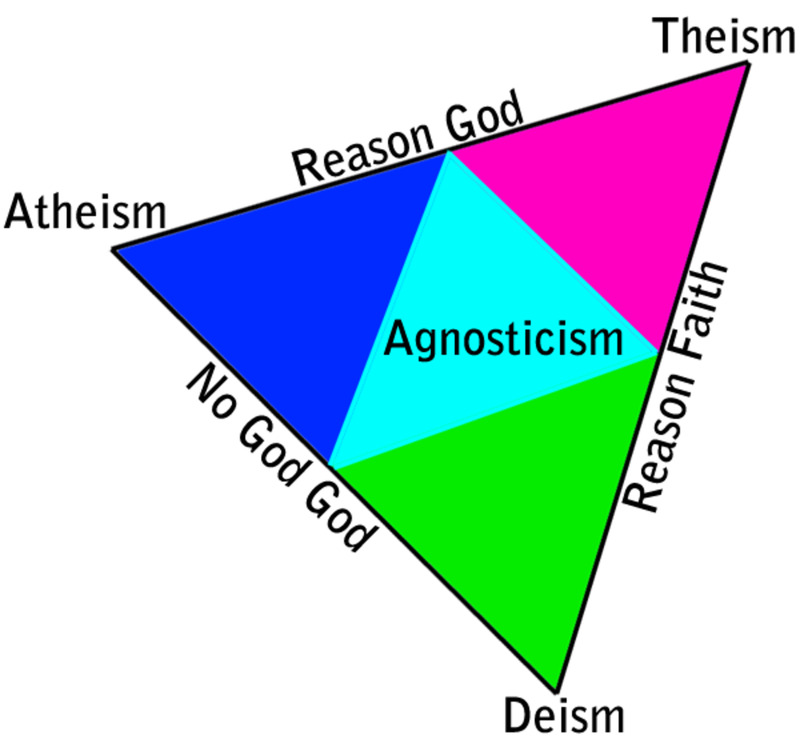 Deism became the historical stepping stone to agnosticism and atheism. 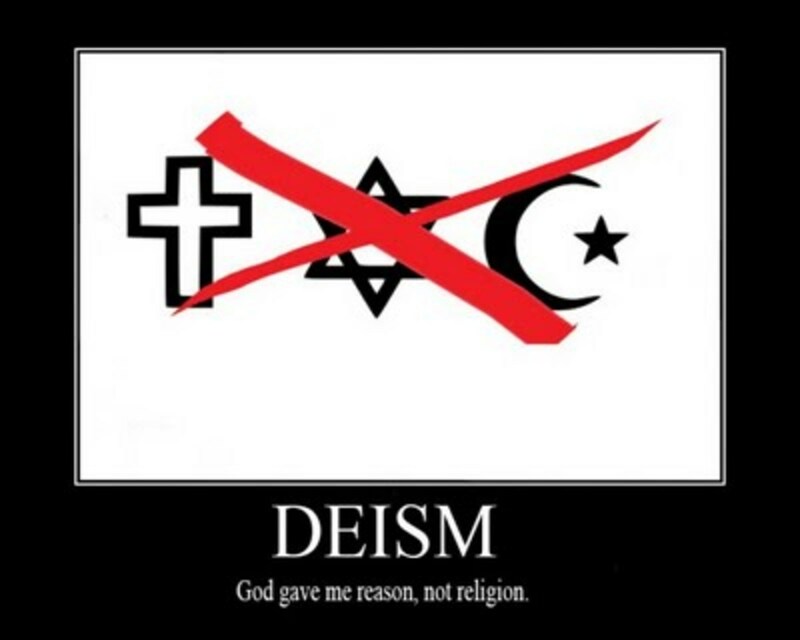 Deism is the father of Unitarianism, and of the modern New Age religions that are pantheist or worship the Mother Earth. The ideas of Deism challenged the very foundational truths of the Christian Faith. Perhaps it was an extension of the Reformation, which challenged the authority of the Catholic Church. The Deists took it further, and their lack of reverence was thought by Jean-Frederic Osterwald to have led to "irreligion and unbelief, these detestable sentiments which attack religion itself and lead to atheism." Soon the Christian Faith would face what it had not seen before, something beyond subtle subversion: open mockery. wba108@yahoo.com ~ I must apologize for not responding sooner but I did not know you had commented on this Hub. I am glad you did and I totally agree with your analysis. Methinks you are onto something important there. "Butler thought, but their rejection of divine revelation gave lesser spirits an excuse to mock the morals of the Bible and drift into the occult. He also pointed out the fruits of disbelief among British aristocrats, which undoubtedly included addictions, diseases, gambling, and bankruptcy." I think this is at the bottom of alot of the anger directed towards Christianity, that it interfere's with the life they want to live, so they build a believe system compatible with what they want. I see deism as appealing to the pride of the intellectuals of the day, much as liberalism does today. No matter how smart you think you are, "pride cometh before the fall"! andromida— I find your remarks quite interesting. I appreciate this visitation from you and your comments. It is always a pleasure to hear from you. It seems that deism is just another belief system, nothing else. No belief system has the right to attack the belief of others.A belief system is not a system unless it respects and values the other systems. I find it interesting that the french desire for reason included beheading anyone with an opposing view. That's seems reasonable! MinnesotaNorseman— You're welcome!! I didn't mention Thomas Paine in this article. He is to be in a future article I have planned. It was good of you to mention him in your comments here. I have read "Age of Reason" though it was quite some time ago. I have made myself a note to read it again based on your enthusiasm. Thank you very much for reading my article. I appreciate your thoughtful remarks. platinumOwl4— You are most welcome. I am glad you enjoyed this article. Yes, that quote is familiar alright. I am well pleased to meet another avid reader. Thank you for your outstanding comments. Thanks for providing this excellent hub. I was especially impressed with Hermann Reimarus. I am impressed with him as I am with Plutarch and Jean Jacques Rousseau the Swiss-born French philosopher. The one who wrote, " Life, Liberty, and the pursuit of property. Does this sound slightly familiar? My thought exactly, when I read it. Headed to the library. Mitch Alan— My, you have run the gambit! It is good that you have come to the Lord. I appreciate your compliments. Thank you for taking the time to read my work. Thank you for coming by to check out my work. I have enjoyed your Hubs. And when exactly do you sleep? Hi James, long time no read. Hope all is well, take care, see you around another time. mysterylady 89— Yes, I would say the Enlightenment and Deism were intimately related, as you noted with keen powers of observation. Thank you for taking the time to read my Hub. I appreciate your remarks. This is a clear, well developed article. I think it is interesting that Deism and the Enlightenment occurred in the same historical period. Hello, hello,-- Hello! You are welcome. Talking to God directly is great. There is nothing wrong with having ties with a local community of believers too. White Horse-- There are millions of doctors and nurses, to be sure. But I believe we do have a healing Jesus as well. Obviously, one first has to believe and have faith to be healed by Jesus, or perhaps more correctly by the Father. I have seen faith healings with my own eyes. I believe Jesus fed those multitudes. There were particular circumstances involved at that moment. He never intended to put farmers and grocers out of business. I very much appreciate your comments. Thank you for coming by to read my Hub. Rhonda Waits— You are welcome, Rhonda. Thanks for letting me know you enjoyed it. I always appreciate a rated up and awesome! Blessings to you. wba108@yahoo.com— Thank you for the compliment! I appreciate the visit and your comments. I think the Deists acknowledged that their beliefs were man-made. Their point was that all beliefs are man-made. The information you provided about Thomas Jefferson is illuminating. If he called himself a Christian, I'll take his word for it. That would not be for me to judge but between him and his Maker. I have perused the Wallbuilders site before and it is excellent. I had not seen the quotes you gave though. Thanks for posting them here, and providing the link. The history of religion never fails to intrigue. This is just that...intriguing, as well as... yes, I have to say it... enlightening! Awesome and useful as well as, as always, well written and easy to follow. Hallo, James, and thank you for an interesting read. Although interesting but I don't belief in any religion. To my mind they are nothing but for themselves (money). I do belief there is a God and do hope there is because mankind being the last step I would give up. So, I talk to him directly. Did you ever wonder how many doctors and nurses there are in this world? If we had a healing Jesus he might put them all out of business...and all the workers at all the hospitals and medical centers and the insurance companies would all be out of a job. And then he could pull fish and bread from a sack and put all the farmers and grocers out of a job. I think Jesus was a window, a messenger from God. Just like this hub is out for the taking...another window, another messenger. Want the word of God? Jesus is just a sacrificial lamb. I don't know what kind of hammers they had back in the day but the ones they have now sure can hurt if I miss the nail. fred allen- It is great to see you again, brother. I always look forward to your gracious comments. I hope all is well with you. You made an important point in that persecution does seem to strengthen the Church. Those persecuted for His Name seem much stronger in their Faith than we who have it soft and easy. Thank you for visiting. I enjoyed reading your excellent remarks. God Bless You! As always you have provided lots of information, on subjects that I was not really aware of, in a interesting and easily understandable format.....great job as always. James thanks for the enlightening hub. I really enjoyed it. Another top notch article, on a meaningful subject! Its interesting that the deists saw Christianity as man-made, what do they call their beliefs if not man-made? "The reader, as do many others, claimed that Jefferson omitted all miraculous events of Jesus from his “Bible.” Rarely do those who make this claim let Jefferson speak for himself. 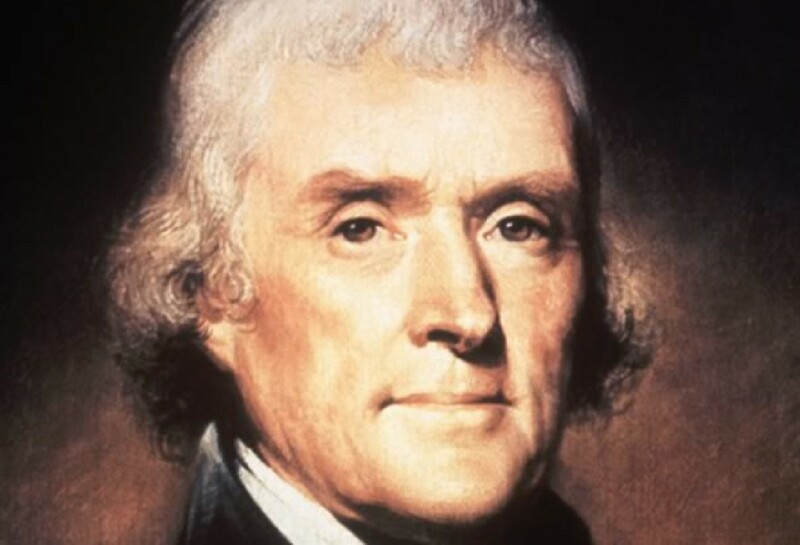 Jefferson's own words explain that his intent for that book was not for it to be a “Bible,” but rather for it to be a primer for the Indians on the teachings of Christ (which is why Jefferson titled that work, “The Life and Morals of Jesus of Nazareth”). What Jefferson did was to take the “red letter” portions of the New Testament and publish these teachings in order to introduce the Indians to Christian morality. And as President of the United States, Jefferson signed a treaty with the Kaskaskia tribe wherein he provided—at the government's expense—Christian missionaries to the Indians. In fact, Jefferson himself declared, “I am a real Christian, that is to say, a disciple of the doctrines of Jesus.” While many might question this claim, the fact remains that Jefferson called himself a Christian, not a deist." I guess its debatable about Jefferson, but he didn't seem to fit the classic definition of a deist. tlpoague— You are quite welcome. I am glad you stuck with it. Thank you for reading my Hub. I appreciate your comments as well. hybridway— I would very much appreciate it if you shared my article with others. Thank you for complimenting my work. always exploring— You're welcome. I am glad you enjoy this sort of subject. Deism has made quite a comeback in the last 20 years, though by other names. Thank you for your kind comments. spiderpam! How great to see you again. Thank you for the compliment. I hope all is well with you. Jen Buczynski— Did I spell that right? JK! You are most welcome. I've spent time in Buffalo. My step-daughter went to Canisius. Welcome to the Hub Pages Community! I agree with your comments. Thank you for reading my work. PegCole17— That is a great quote. There is no doubt that Voltaire had a first-rate mind. Thanks for coming! It amazes me to think that after 2000 years of movements and outright attempts to exterminate Christianity, the church is still more than thriving. In fact persecutions have only served throughout history to strengthen the church and make more real the cause of Christ to a watching world. I've always been impressed with your writing and this is no exception. 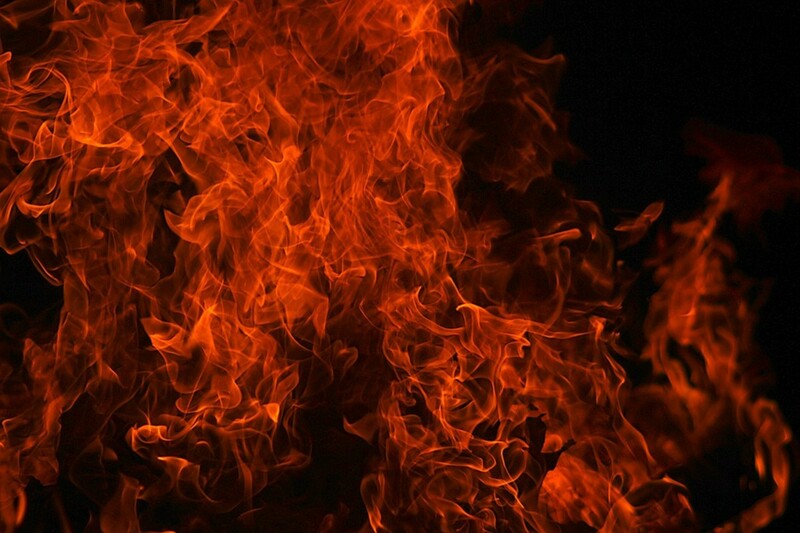 I would stand with you in battle against the very gates of hell! Tamarajo— You wrote: "It seems as if what a deist really worships is their own intellectual understanding"
I would say that is a piercing insight, my lady. You also wrote: "man's intelligence is foolishness to God"
Well, you know I agree with that timeless truth. I am glad you came. Thank you for your excellent comments. Another amazing hub , well written and exquisitely researched. Thank you for this info on Deism. i feel quite learned having read it. We humans are a strange lot! creativeone59— You are welcome, my dear. Thank you for taking the time to read my Hub. God Bless You Sister. Hxprof— You are welcome, my friend. I am glad you enjoyed this piece. Thank you for saying so. As always, I appreciate the visit and your comments. Yes, Butler was right on. And I agree with you that all efforts at evangelism are fruitless without the Power of the Holy Spirit. Regardless of all that, it is good to hear from you again, Brother. Thank you for coming to see me. I so enjoyed your latest History Lesson...soon I shall go to the Head of the class with all my new found knowledge...Interesting subject. Thanks for sharing. After being interupted a number of times, re-reading just as many, I finally have a few minutes to spare to proclaim... Wow, I had a different picture of what deit and deism was. This was enlightening and very informative. Thanks! CMHypno— I most certainly agree with your excellent insights. Thank you ever much for coming by to visit. I appreciate your thoughtful remarks. sheila b.— You are most welcome. I am pleased to have been of service. Informative. Like to share with others. James, You always write hubs that are interesting and educational. I enjoy reading the history of the early religious beliefs. Thank you. Thanks for an interesting hub. I’ve read a little about Deism before and wanted to learn more. Your hub provided me with a lot of useful information. I see that history truly does repeat itself. We have nothing to fear-- Christianity will live on despite any and all persecution and open mockery! Praise God. Thank you so much for sharing this. I like the quote from Voltaire on the night sky, "One would have to blind not to be dazzled by this sight; one would have to be stupid not to recognize its author; one would have to be mad not to worship him." I honestly had never heard of this movement or philosophy before. It seems as if what a deist really worships is their own intellectual understanding of things which limits a universe of possibilities. How very sad to be blinded by ones own supposed intelligence. "man's intelligence is foolishness to God"
I did like the Christian response section. It confirmed the thoughts I already had while reading your article. A history lesson with my coffee - loved it:-). Lots of research in there - yes, enlightening! Thank you very much, my dear, for your ongoing support and encouragement. Soon I'll be off to finish my first book, which will require a hiatus from HubPages. I appreciate your thoughtful comments. And you are most welcome. Enjoyed this survey of Deism. The claim that scripture was perverted/rewritten has been around longer than Deism, but no surprise that Deists found that argument useful. I particularly liked what you said here, "Rebuttals to Deism were put forth forcefully by English philosopher and theologian Joseph Butler. He thought Deists abandoned the Christian Faith because it might interrupt their pleasure-seeking." Solid insight from Butler. I consider the efforts by Christians to convince others that they 'should' believe to be fruitless-that's the job of the Holy Spirit. The commission given to Christians is to, "Make disciples of all nations". A person must first be saved (by the conviction of the Holy Spirit) before he/she can be made a disciple. Sorry, I digress. Thanks for the concise piece on Deism. As always, I've learned a lot from this article. Thanks. Nice coverage of the subject! Very well written, James. An enlightening article to read. Nice work ! Hey you- why is it that you never disappoint me? As always you have so much well written information in one short space that I never have to open a book............ well, I do read............. but books I'd like to read have to wait for the summer.............. during the school year; it's all school! Thanks for this.............. you've rearranged my thought patterns on some of the differences I've never quite understood. Well James, you know I do not believe in Religion, so the only comment I am going to make regarding this enlightening Hub is, oh there it is, I said it, enlightening. Thank you.